I'm building a new Active Directory environment based on Windows Server 2012. This is a green-fields site, and the builds are automated using the OSD task sequences available in System Center Configuration Manager 2012. The first server I build in the domain is a domain controller in a place-holder root domain. The following script promotes a server to this be a domain controller and creates the new forest and domain. 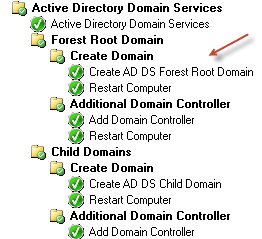 A previous post explains how I install the Active Directory Domain Services role. 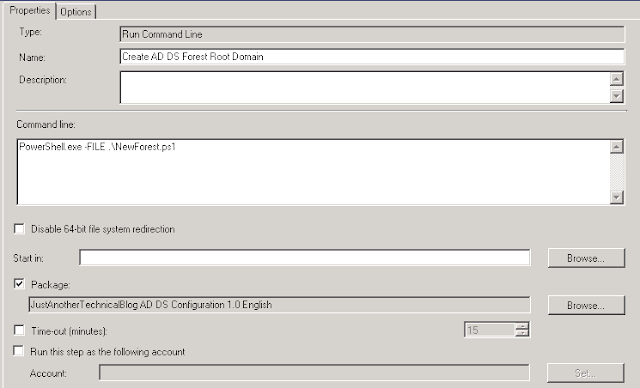 Installs a new domain controller in a forest root domain, creating that domain. I will explain how to populate variables in Configuration Manager in a separate post in due course.